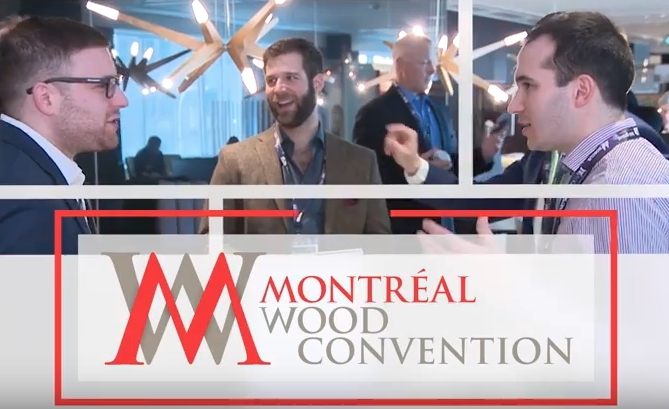 Sept. 18, 2018 - The 7th edition of the Montreal Wood Convention will take place from March 19 to 21, 2019, at the Fairmont The Queen Elizabeth in Montreal. As in previous years, there will be a seminar on economics and markets, a seminar on hardwoods, a luncheon with a keynote speaker, a networking cocktail and the exhibitor hall. “In addition, we are proposing some new features for 2019, including a panel of CEOs from the sector, discussing the issues of the hour on Thursday morning and a festive and relaxed After Convention in the afternoon that will be another opportunity to network,” says event manager Sven Gustavsson. “Registrations have been open since the beginning of September on the event website. Also, companies interested in booking a booth are invited to do so quickly, as nearly 50 per cent of spaces are already taken,” he says. The Montreal Wood Convention has been organized since 2013 by the Quebec Wood Export Bureau (QWEB), the Québec Forest Industry Council (QFIC), the Maritime Lumber Bureau (MLB) and the Ontario Forest Industries Association (OFIA). For more information: www.montrealwoodconvention.com.